Este Macleod was born in Pretoria, South Africa in 1968. From a young child all she wanted to do was draw and paint. 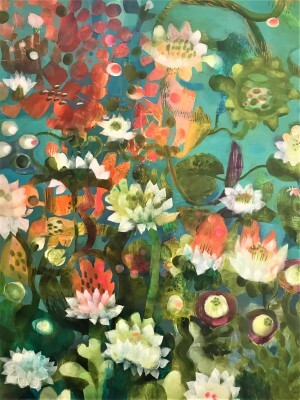 After completing her schooling Este continued to study art at the Pretoria Technikon and in 1994 she obtained a Higher National Diploma in Textile Design. 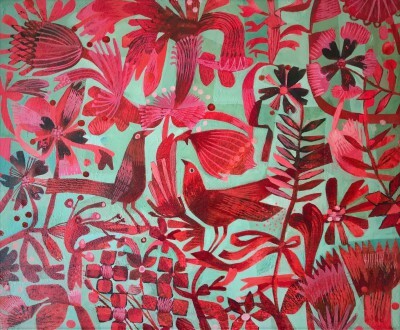 Este MacLeod began her career in South Africa as a textile designer and ceramicist. She relocated to the UK in 1999 where she has continued to paint, exhibit and create her ceramics. More recently she completed an MA at University for the Creative Arts in Farnham. Through her art work Este MacLeod reflects on the sentiments and nostalgia surrounding the on-going process of life. 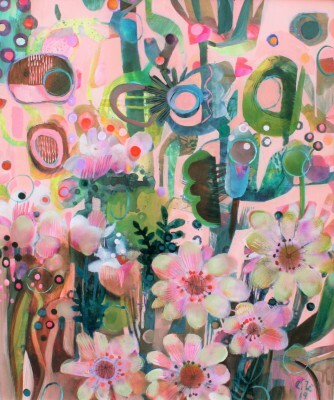 She is primarily a colourist painter focusing on the concept of domesticity. Vintage household objects, simplified plant and natural forms inform Este's still life and landscape paintings. Her aim is not to represent objects, but to interpret everyday items in a distorted way. 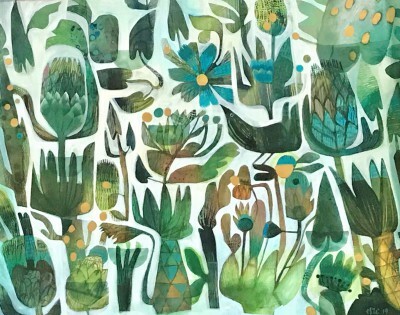 She simplifies recognisable everyday objects by including working methods such as the use of lines, complimentary colours and layering of paint and by a variety of scraping techniques. She uses complimentary colours, layered paint and a variety of scraping techniques to add texture to her paintings. Este MacLeod exhibits in the UK and abroad on an ongoing basis throughout the year. Her paintings and sculptures are in public and private collections around the world. Welcome to the Red Rag British Art page for Still Life paintings. Here you will find an outstanding collection of fine contemporary Still Life paintings from leading present day artists. At Red Rag British Art Gallery we offer a great choice of British art and in particularly Still Life paintings. We represent young artists and artists of International standing known for their Still Life British art works. Still Life subjects have fascinated artists for centuries. 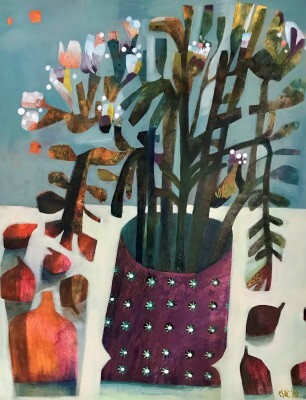 Todays artists at Red Rag British Art Gallery carry on the rich tradition of Still Life painting creating art works for current and future generations to enjoy. To see details on availability, price and dimensions of each contemporary painting simply click the individual piece of British art. All Still Life paintings at Red Rag British Art Gallery are sourced directly from the British art studio of each artist. This guarantees the authenticity of every Still Life painting sold by Red Rag British Art Gallery and also ensures all Still Life paintings offer great value for money. Red Rag Art Gallery is open each day for the purchase of British Art. All purchases of contemporary Still Life paintings from Red Rag British Art Gallery can be shipped worldwide.